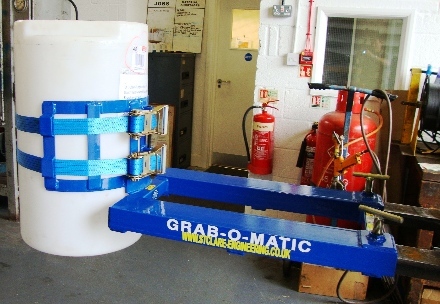 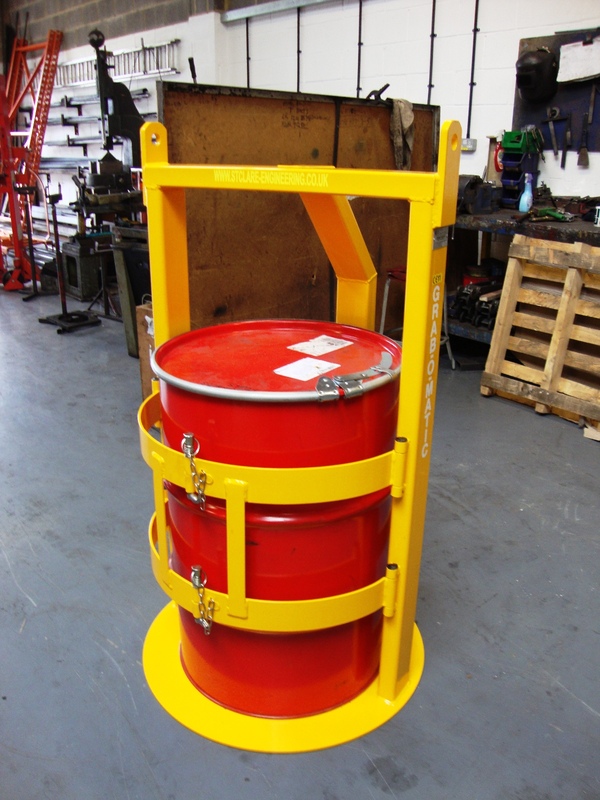 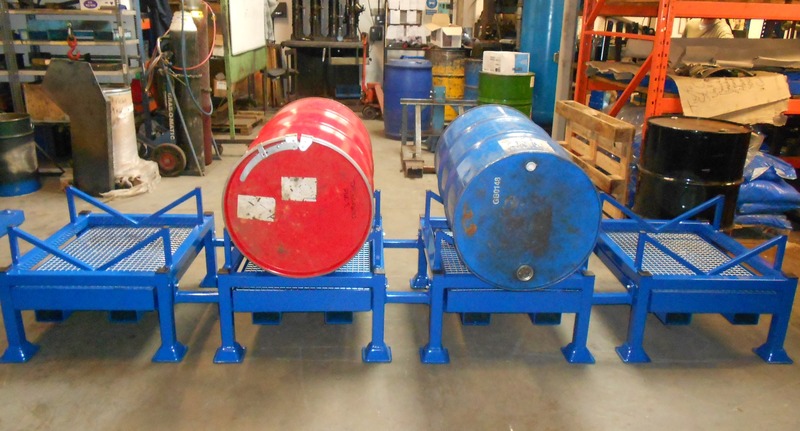 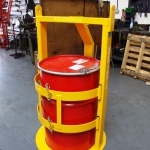 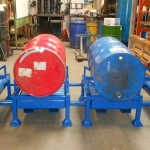 The Grab-O-Matic heavy duty drum cage (750kg SWL) was designed to lift heavy drums on/off an oil rig in the North Sea, chains can be attached to the lifting eyes. 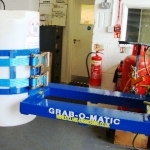 The Grab-O-Matic drum racks have been designed to bolt together in any combination of singles, doubles, triple or all four together. 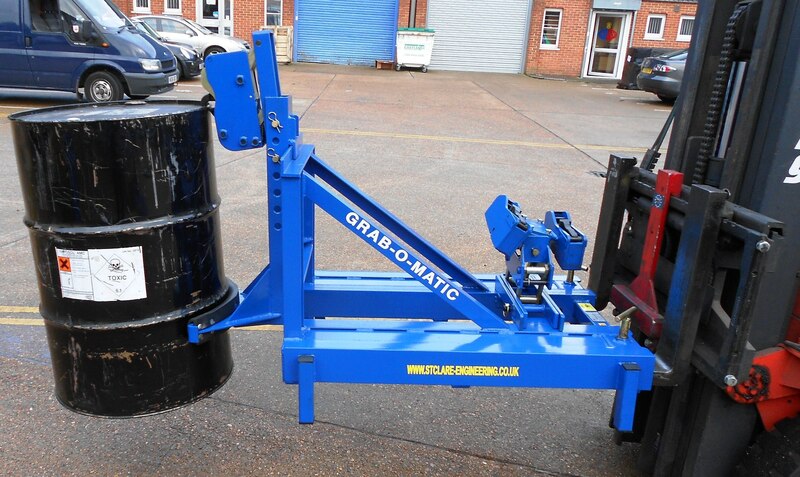 This type of drum does not have gripping points so a Grab-O-Matic fork attachment has been designed for transporting. 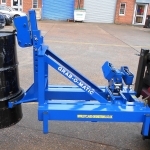 The Grab-O-Matic Raised Single Drum Handler model 1-DLR is suitable for use on fixed legged stackers with wrap over forks.